We are delighted to launch our new Frame and Lens complete packages available across our three production sites – Lenstec, Tant and Rawdon. 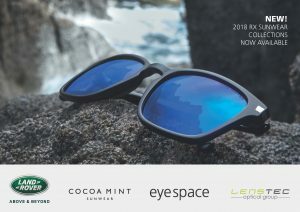 We have brought together a new format with lower pricing and working closely with four main suppliers covering all aspects of popular frame brands. 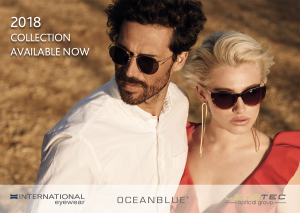 International Eyewear, Eyespace Eyewear, Continental Eyewear and Emporium Eyewear. 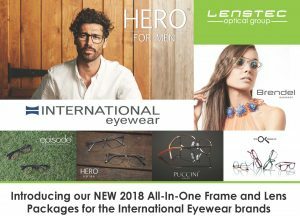 These four companies have worked closely with Lenstec Optical Group to bring together what we believe covers a large portion of trusted repeatable frame styles that bring you a first class service from stock. 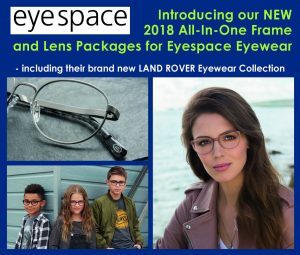 Our All-In-One Packages offers a wide range of lens and frame combinations in single vision, bifocal and progressive lens designs; each with a broad power range, and includes clear, Transitions and polycarbonate lens materials from 1.5 to 1.67. Our intention was to put together an inclusive package that would suit a wide range of customers’ needs and give you a stress-free solution to most dispenses. Whether it’s a budget or a premium design you need, we believe this competitive prescription offer allows real flexibility in practice to order a complete frame and lenses each time. You can order by: EDI, Fax or Telephone as required and we will supply the whole order back to you in the shortest time scale to the highest quality standard. We also have a domiciliary service which allows us to engrave the patients name onto the frame for a small nominal fee, just ask your lab for the details on how to order and we will be happy to provide this additional feature. We can also offer you the stunning Sunglass collections from International Eyewear and Eyespace Eyewear with our All-In-One prices! Lenstec Optical Group have undertaken major investments in Robotic Glazing, state of the art equipment and continuous staff training ensuring our staff our focused on high quality, speed and accuracy at all times.